It is one of the most interesting topic in SQL Server “How to Replay profiler”. But, I have not seen this feature is used efficiently by many. Today, we are going to see how can we use Replay profiler in SQL Server. 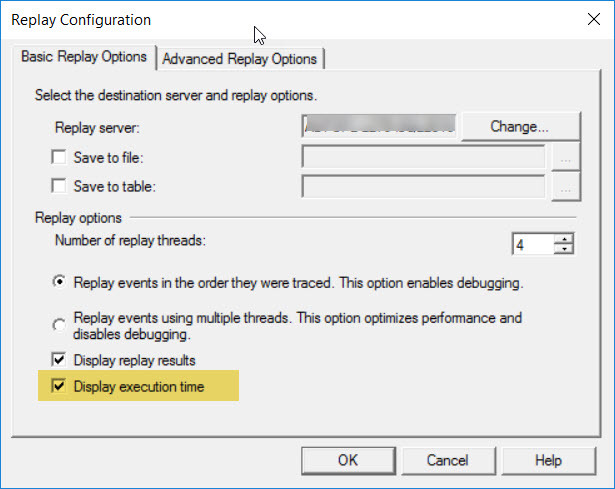 Now, Let us quickly see how can we use the Replay option in SQL Server. 1. 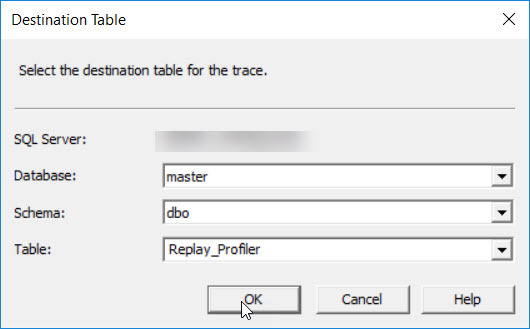 Collect the Profiler trace with Replay option. This is a very important step to collect what needs to replay. 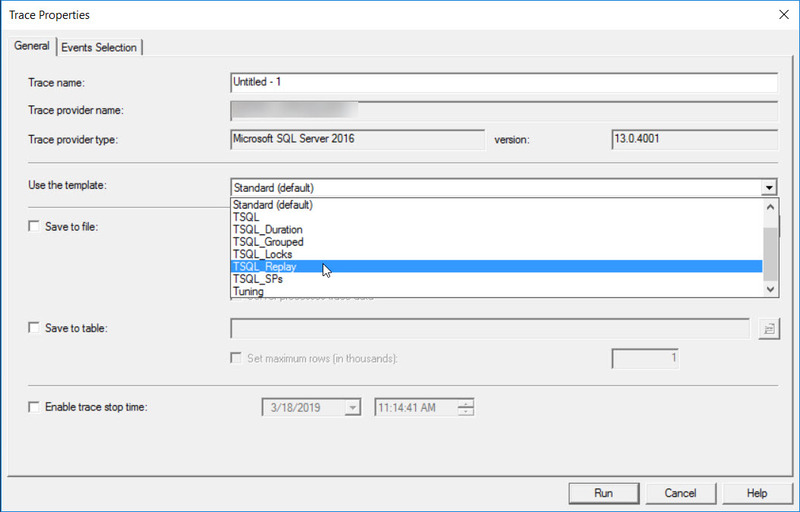 SQL Profiler provides a default template to choose the Replay option. We need to select the template and run the profiler on the source server/database while we execute the functionality that needs to be applied to target database/server. I (my personal choice) usually include “Display Execution Time”, but its optional. Once the configurations are set, we can “Start” the Replay. If you see the above sample snapshot, we can see that the trace has been run successfully. However, we see errors in the screenshot as when I tried to run the trace in the same server and database. How do we run this trace in different server and different database? That means, the trace data needs to be changed for its database id and database name as per the target environment.Once the trace table data has been modified, we can follow the same procedure mentioned above(3 and 4).